U.S. Citizen Arrested In Moscow On Suspicion Of Spying Russia says Paul Whelan was detained on Friday while on a spy mission. He faces up to 20 years in prison if convicted on espionage charges. 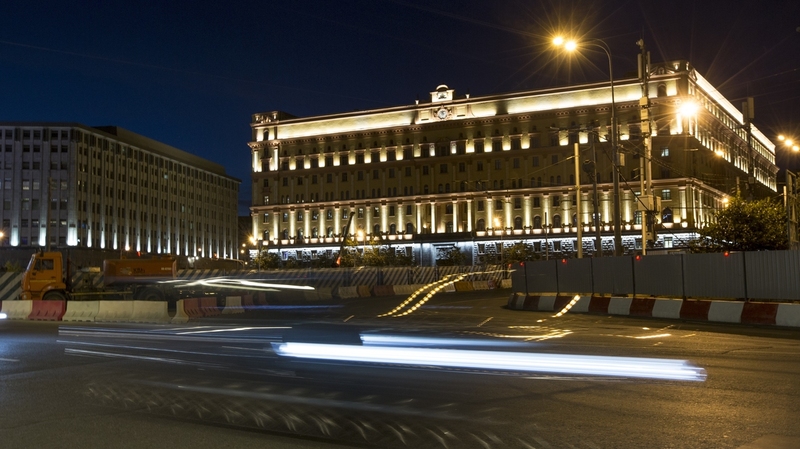 A U.S. citizen has been arrested in Moscow on suspicion of espionage, Russia's Federal Security Service announced Monday. The domestic security agency named the detained individual as Paul Whelan. It said in a short statement that he was caught during a spying operation, without adding further details. The security service said a criminal investigation is underway. If convicted of espionage, Whelan faces up to 20 years in prison. "We are aware of the detention of a U.S. citizen by Russian authorities," a U.S. State Department spokesperson said in a statement emailed to NPR. Staff were notified by the Ministry of Foreign Affairs, according to the statement. The spokesperson added that the United States has requested consular access to the detained citizen. "Russia's obligations under the Vienna Convention require them to provide consular access. We have requested this access and expect Russian authorities to provide it." The spokesperson provided no additional information, citing privacy concerns. His arrest comes days after Russian citizen Maria Butina pleaded guilty to conspiring to act as a secret foreign agent in the United States. Butina will be sentenced in 2019. She is likely to face up to six months in prison and then be deported to Russia. Relations between Moscow and Washington have hit new lows since the United States accused Russia of interfering in the 2016 U.S. presidential election. The Trump administration imposed sanctions on Russian individuals and entities. The Justice Department has indicted Russian intelligence officers as part of its probe into the election attack. After Russians poisoned former spy Sergei Skripal and his daughter in England, President Trump ordered the expulsion of 60 Russian officials from the United States, as well as the closure of Seattle's Russian consulate. The Kremlin retaliated by expelling 60 American diplomats from Russia. It also closed the U.S. consulate in St. Petersburg, reinforcing a message that Russia's foreign ministry once posted on Twitter: "Diplomacy is based on reciprocity." The Skripals underwent extensive medical treatment for exposure to a rare and deadly nerve agent developed by the Soviet Union in the 1980s. They were released from the hospital earlier this year. In 2010, Skripal was part of a large spy swap took place in Vienna — an event that NPR described at the time as something that "could have been torn from the pages of an espionage thriller." On an airport tarmac, 10 people accused of being foreign agents for Russia were exchanged for Skripal and three others convicted of spying for the West. Skripal had been accused of disclosing the names of Russian agents. After his release, he settled in England. In the past, the United States has accused Russia of waging a campaign to harass American officers serving overseas. The Washington Post reported that Russians have slashed diplomats' tires, entered their homes at night and even followed their children as they traveled to school. U.S. officials also said that a diplomat was attacked by a Russian guard just outside of the U.S. Embassy complex in Moscow.